Iceland is known for its quirky personalities, and this is reflected on their style. 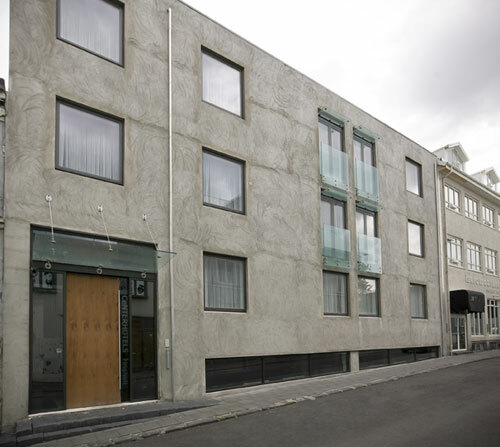 There are a number of eccentric-themed hostels in Reykjavik, and if I was younger, I’d definitely stay in some of them. 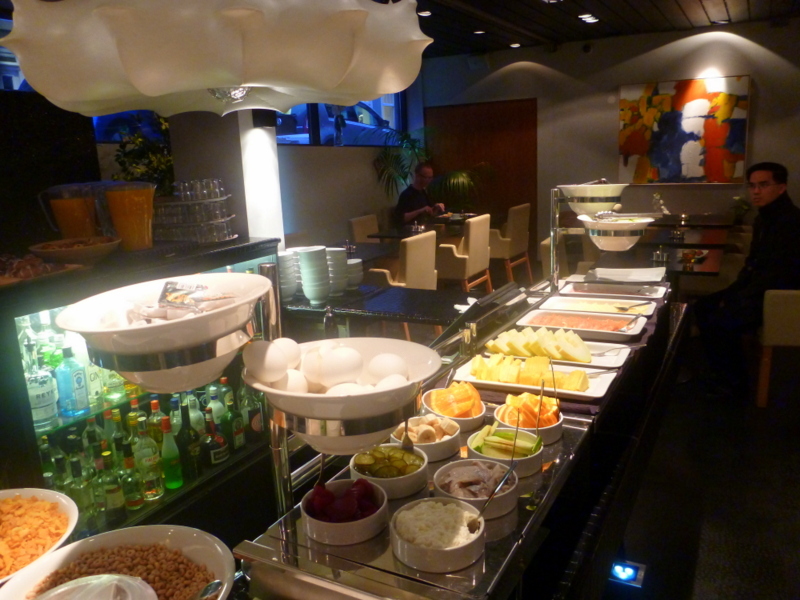 At my age however, I prefer a more toned-down quirkiness with the comforts of a full-serviced hotel. 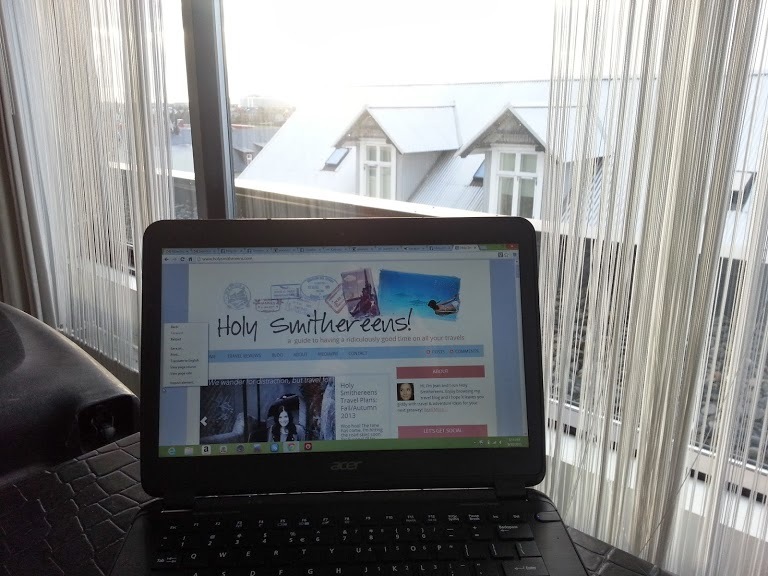 So we spent 2 nights at Centerhotel Thingholt, an accommodation right in the heart of Reykjavik. 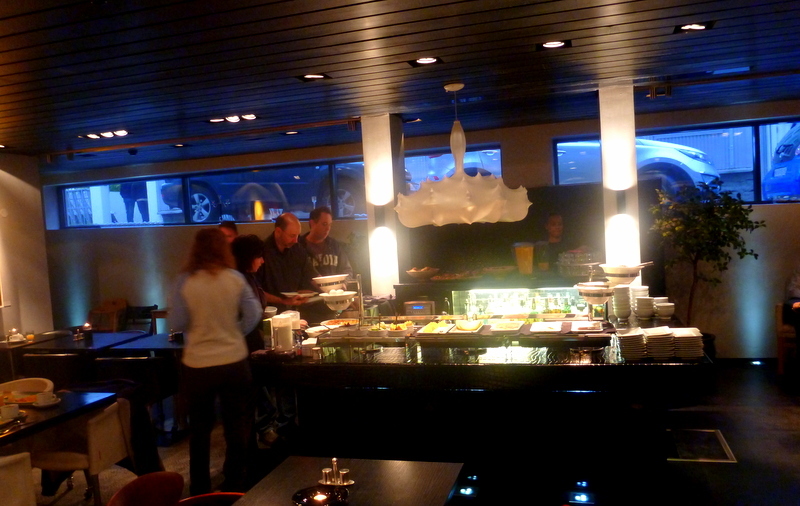 It is located right next to Reykjavik’s main shopping street, Laugavegur. 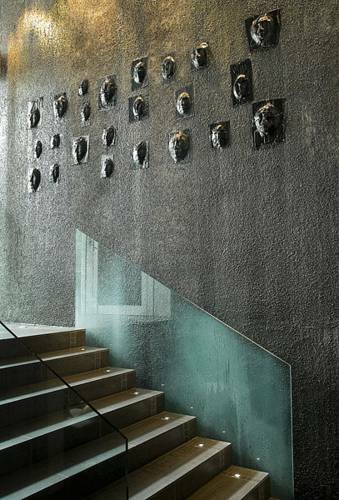 Though the building may look nondescript, it is all part of the whole personality and design of the hotel. 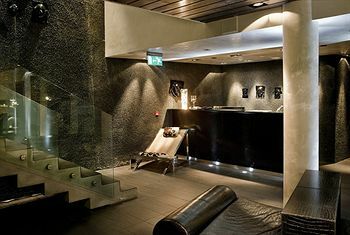 The building was originally a printing factory from 1943 and has now been converted into a hotel that reflects Iceland’s contemporary design. The layout of the building is unusual. Coming in from the entrance, you will see a flight of stairs heading down immediately, as the front desk is below ground level. And this is where my one and only gripe comes- while there was a service lift on the side, this kind of layout is not very functional for a hotel. It is just a short flight of stairs, and someone did help us with our bags when we got in. Most, if not all guests will have luggage with them, and a ramp on the side would probably be very helpful. Service– the first thing that came into my mind when I saw the staff of the hotel, “is this a modelling agency?’ All staff, both male and female, were really good looking! Like, supermodel good looking. I of course didn’t have the nerve to take their photos, but take my word for it. They were very accommodating too, as we arrived early, and while the room wasn’t ready, they offered to keep our bags while we went out for the day. All throughout our stay, the front desk was manned at all times even during wee hours of the morning. They also helped me in printing my documents, and mindful of tour buses who may be waiting outside for passengers who are guests of the hotel. loved my room at Centerhotel Thingholt! It’s fair to say that this room made me want to stay in bed a little longer. I just love open and light spaces. The long table at the bed foot served as working desk as well, which may raise a few business travellers’ eyebrows. But the room doesn’t lack in power plugs. 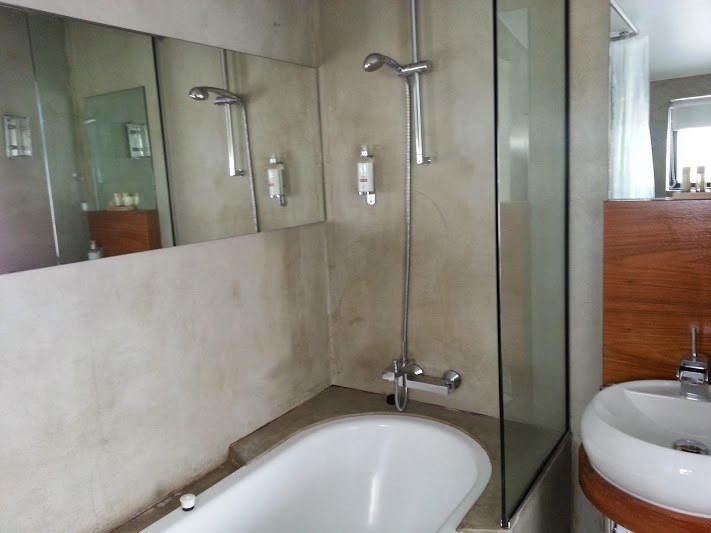 The bathroom reflects the same unwashed concrete style as the exterior of the building, which normally may have an ‘undone’ look to a bathroom, but they did this style very well with the right furnishings. 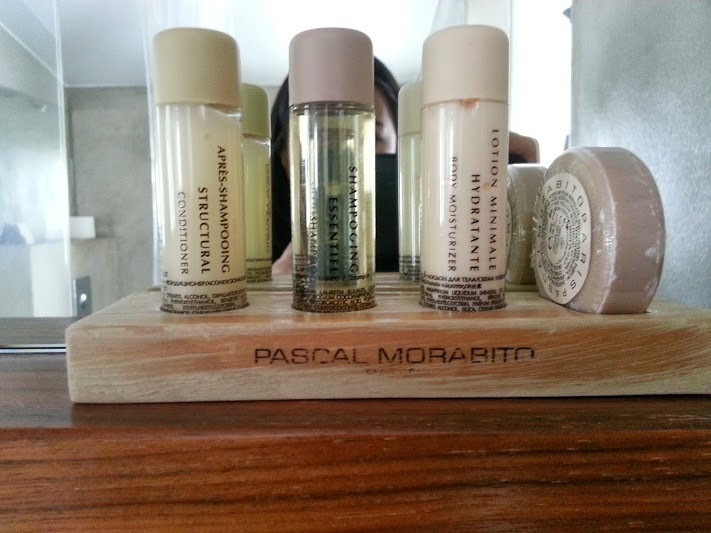 Toiletries are from French designer and perfumer, Pascal Morabito. The far end of the bath also has a tiny window which adds to the open theme throughout the room. Centerhotel Thingholt: A Holy Smithereens favourite! 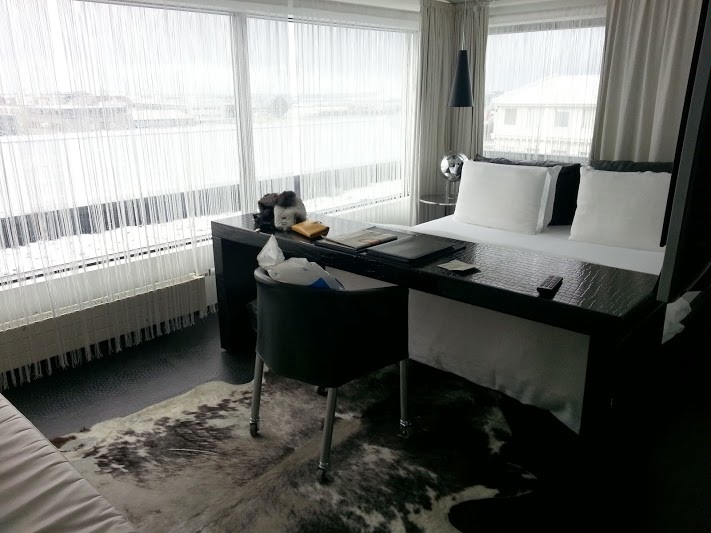 As I mentioned, Centerhotel Thingholt is my favourite accommodation in Reykjavik. It’s very trendy and hip without being snobbish. I love that it doesn’t try so hard to be ‘fashionable’ what with the very grey nondescript exterior ( there were times, walking back to the hotel that I passed it by because it is very well almost camouflaged into the street!) , yet when you step inside it’s like being welcomed into a secret, hip world. I would recommend this to couples, travelling pairs, or families with adult children. 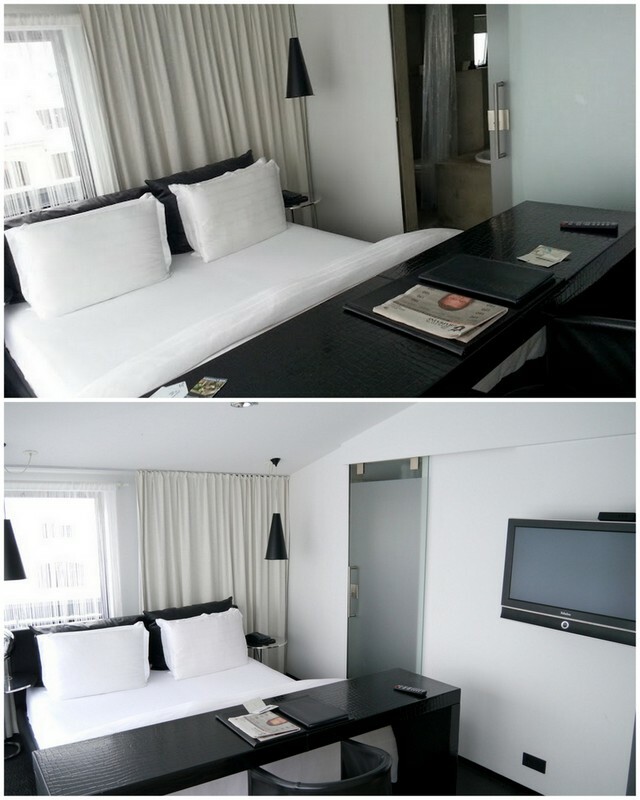 Also take advantage when staying here as you could not get a more central location. Try to spend one full day just chilling and exploring the shops of Laugavegur street and surrounds.